Works great on the exterior and interior! The 303 Ultra Plush Microfiber Towel 3 Pack is a versatile towel that will help you with any cleaning job you throw at it. 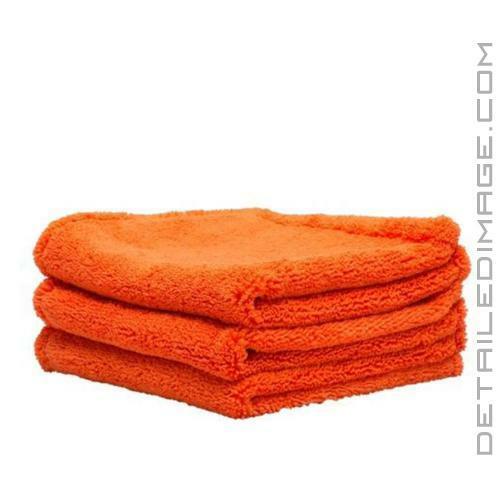 These three towels measures 16" x 16", so you will always have enough on hand to tackle any detailing step. Each towel is double sided, one side with a short nap and the other with a longer nap. The shorter microfiber threads on the one side help you remove anything tightly bonded to the clear coat (sealants, wax, polish residue, etc.) or interior surfaces, while the longer microfiber threads allow this towel to lift and collect particles for safe and easy cleanings. Most modern day towels have paint safe trim on the edge, however this trim generally does not help collect contamination on the surface. These towels do not have any trim and by removing the trim, you create a towel that is completely dedicated to cleaning. 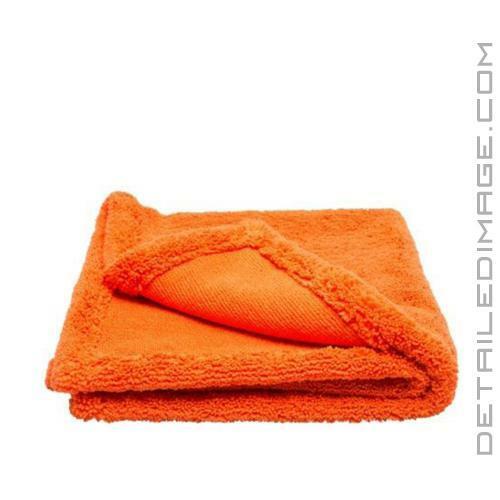 No more silk edging that will not serve any cleaning purpose, instead every inch of this towel will help you clean. 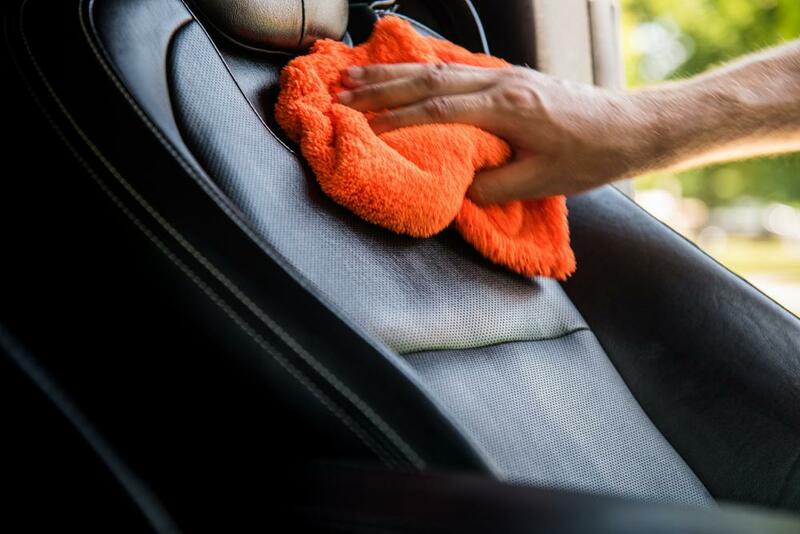 After you are finished detailing, use these 80% Polyester / 20% Polyamide, 360 GSM, towels around the house if desired. They are machine washable or hand washable in cold water and it is recommended to let them air dry after washing. If you have to machine dry, make sure the lint trap is thoroughly cleaned out and you are only drying on gentle cycle with very low heat to avoid damages. 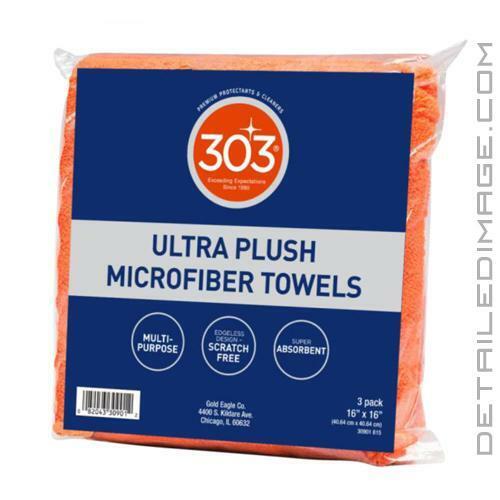 If you are looking for a versatile towel to help you apply any 303, or other products, the 303 Ultra Plush Microfiber Towel is a great choice! A great value. These microfiber towels are soft and scratch free. Good stuff, who doesn't need more plush microfiber when cleaning their cars? Soft and large enough to use as a drying towel. Way to go above and beyond, I'm sold on your company and won't shop elsewhere! !